Entrance is £7, payable by cash only. Children under 12 free. *Stody Lodge Gardens will open in aid of the National Garden Scheme 1pm - 5pm on Tuesday 21st May 2019. Non-members also welcome. For details of charities supported through Stody Lodge Gardens' 2018 open days, please click here. Dogs on leads are welcome, there is a free car park, plant stall and delicious homemade teas. Private group visits are available by appointment Monday to Friday. Please contact 01263 863994 for further visitor information. There is good disabled access to most areas of the gardens. 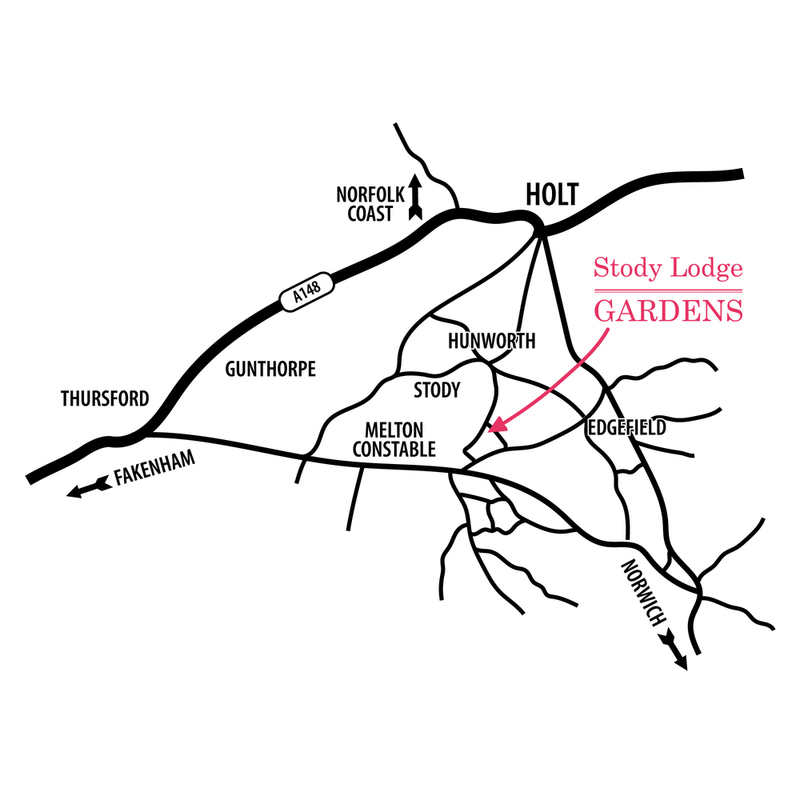 Stody Lodge Gardens is 16 miles northwest of Norwich and 3 miles south of Holt off the B1354. Postcode NR24 2ER.